High-octane, visceral, cinema; raising intensity not with a kiss or a gunshot, but with vile, inebriated, human emotions. With filming wrapped all the way back in 2013, it almost feels like Liv Ullmann’s grand return behind the camera has come a year too late. While this can mess with people’s anxieties and expectations; the most important thing is that Ullmann is back, directing an adaptation of masterpiece Swedish play Miss Julie by August Strindberg, a playwright regarded as something of a demigod in Scandinavian culture. Ullmann’s choice of setting the story in Ireland gave her the opportunity to cast Jessica Chastain, Colin Farrell, and Samantha Morton in the three roles. This is at once a blessing and a curse; shaky accents and stringent Anglophone translation (by Ullmann herself) make for a tiring watch, at times, but it also gives three familiar actors a chance to give it their 110%. Besides, Miss Julie has been adapted so many times; it’s nice to have it set in the beautiful Irish hillsides for a change. The story goes as follows; on the eve of Midsummer’s Night, in a famous Baron’s castle, three people contend with escalating passions, desires, and prejudices on subjects of love, lust, and class. There’s the “kitchen wench” and handmaiden Cathleen (Morton), the educated, treacherous valet John (Farrell), and the center of attention whether off-screen or on, the Baron’s daughter Julie (Chastain). The Baron is never seen, but his presence is felt in almost every scene. Julie is presented as a lonely woman, trapped within the confines of her enormous and mostly empty castle, while the relationship between John and Cathleen is purposefully muddled between flirtatious colleagues and engaged lovers. The two servants are the first to meet, and it’s not long before the gossip starts about what the latest scandalous, improper thing Miss Julie has done. Speaking of the devil draws her out of the shadows, and it’s not long before Cathleen is dismissed. Much of the time is spent listening to the voluptuous, impassioned, monologues between Farrell’s John and Chastain’s Julie. Make no mistake about it; Miss Julie is theatricality wiping the sweat off of the highest brow. If some viewers aren’t prone to fulfillment by way of violent performances, their time would be best spent elsewhere. That’s not to say that Ullmann’s direction doesn’t seep through the emotional cracks of the volcanic exchanges. Barring some fly-on-the-wall angles, elegant exterior shots by the brook or Julie’s garden, and a couple of truly fantastic reflections of Julie against the window superimposed with the only escape out of the castle; Ullmann decides to keep her camera firmly pointed at the actors, in medium shot, reminiscent of her old mentor and friend Ingmar Bergman. Appropriately framed, as if posing for a Venetian portrait, the actors are photographed in resplendent play of light and shadow by DP Mikhail Krichman. Then there’s Ullmann’s choice of music, utilizing Schubert (his popular “Andate Con Moto” made cinematically infamous in Stanley Kubrick’s Barry Lyndon) and Bach to exceptionally powerful effects. The music reflects the character’s moods, at times revealing feelings they aren’t aware of, or are trying to hide. It’s stunning. But, Miss Julie never lets you forget that it’s an actor’s showpiece; Strindberg was infamous for his naturalistic style and free-spirited dialogue, which carved multiple dimensions into his characters. Ullmann’s translation feels clunky at times, and some of the delivery (especially from Farrell and Morton) feels too affected to resonate as anything genuine, but only to a small degree. Chastain on the other hand, whose accent does slightly waver but never to egregious levels, truly gives it her all here. She tears the roof off as Julie, going through a whole array of emotions and ranges to near exhausting altitudes. And yet, whether it’s instinct, Ullmann’s inspiration, or a bit of both, she pulls back in the right moments and grounds Julie, making her relatable and never larger-than-life. This movie may not be the critical darling one would expect from an austere adaptation of Strindberg, by Liv Ullmann, starring Jessica Chastain. People looking for some easy entertainment won’t be praising it any time soon. Despite all of this, if the viewer properly prepares for a bit of a mental and emotional workout, there is much to be gained from the pain here. Three actors at the very top of their games, even with two of them being shaky at times, and a director who is clearly passionate and deeply respectful towards the material. Miss Julie is high-octane, visceral, cinema, raising intensity not with a kiss or a gunshot, but with vile, inebriated, human emotions. 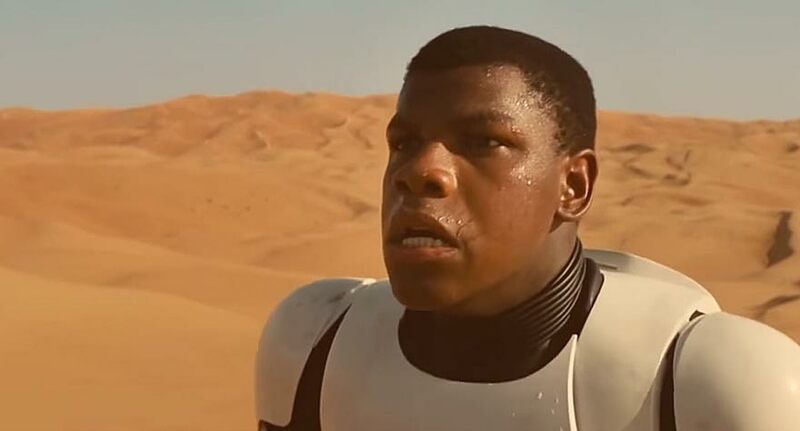 Wes Anderson Presents: Star Wars Force Awakens Trailer. A Star Wars films we'd love to see.